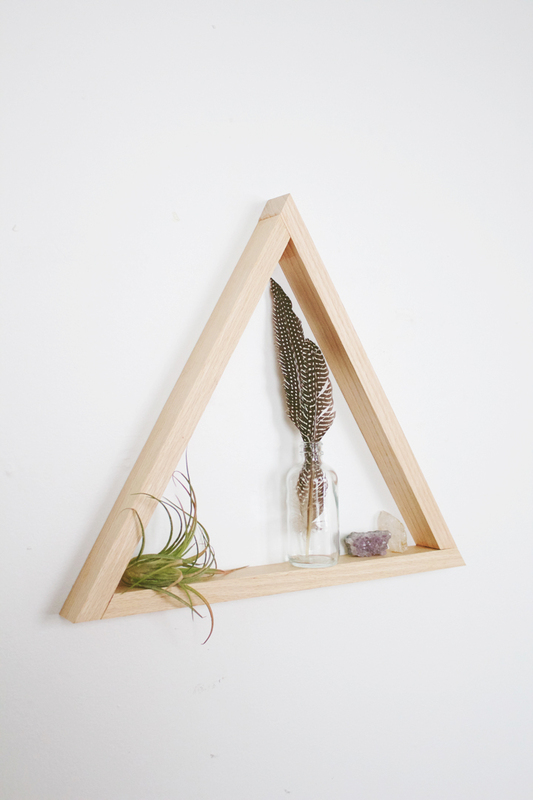 Step One // Decide how big of triangle shelves you want to create (mine is 15" long). Purchase a piece of wood that is a couple inches longer than the length of all three sides of your triangle - so if your sides are 15", your wood needs to be at least 45" long. Step Two // Use the miter saw to cut a 30 degree angle on one end of your piece of wood. Flip the wood over 180 degrees, measure out desired length - mark with a pencil, and cut wood again at a 30 degree angle. Once this step is complete, you will have one side of your triangle shelf complete and your long piece of wood will have one side with a 30 degree angle cut. 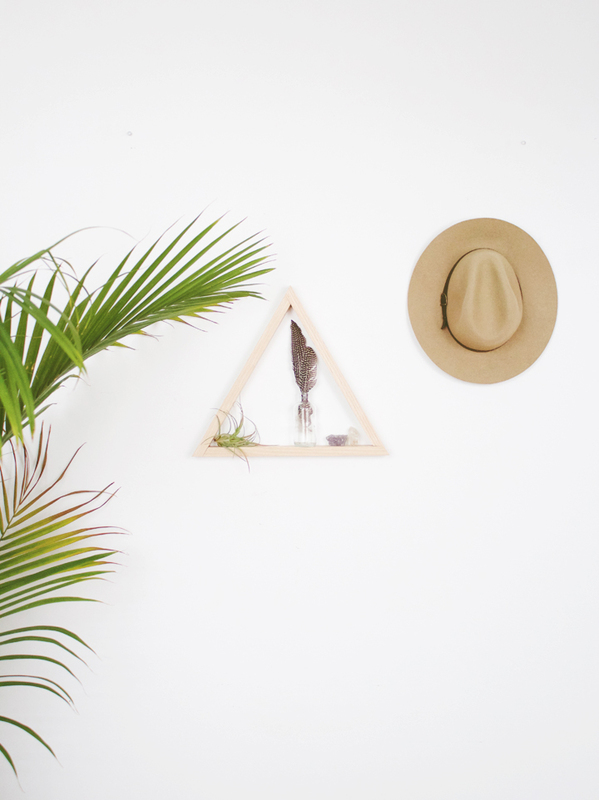 Step Three // Repeat step two to create three sides to complete your triangle. Total, you should only have to make 4 cuts. Step Four // Prep all cut sides. Sand down rough edges. Stain wood if desired (I left my wood natural). 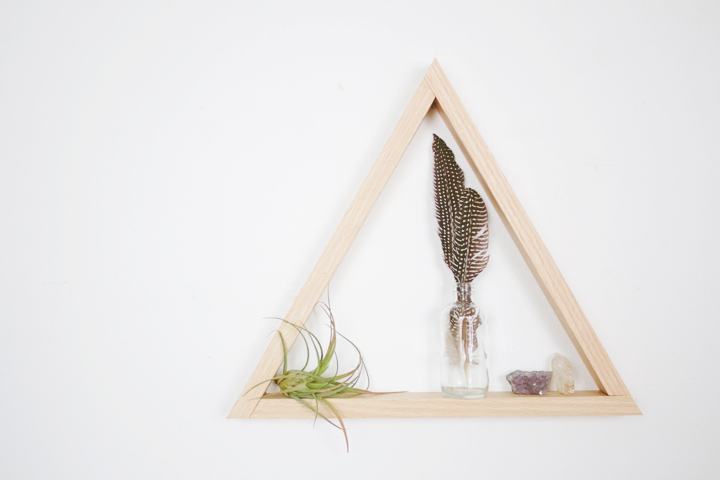 Step Five // Add wood glue to all ends, assemble triangle, and hold together for a couple minutes. Wipe off excess glue and let glue set - I let mine set for 12 hours. For extra support, nail wood pieces together using a nail gun. 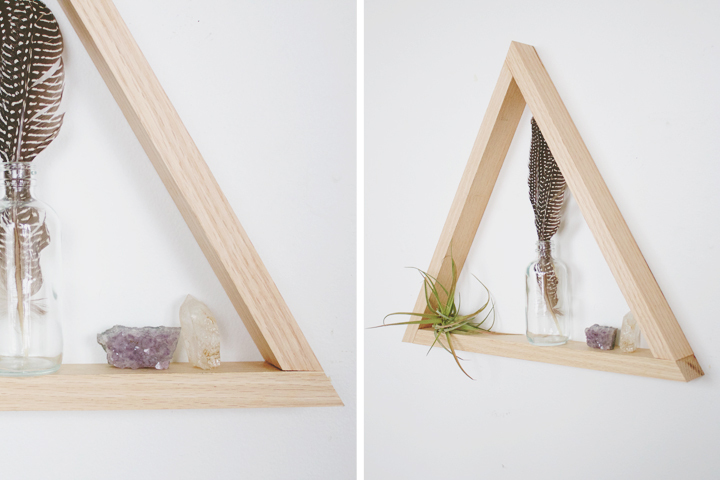 Triangle shelf complete! See, a lot easier than you thought, right? 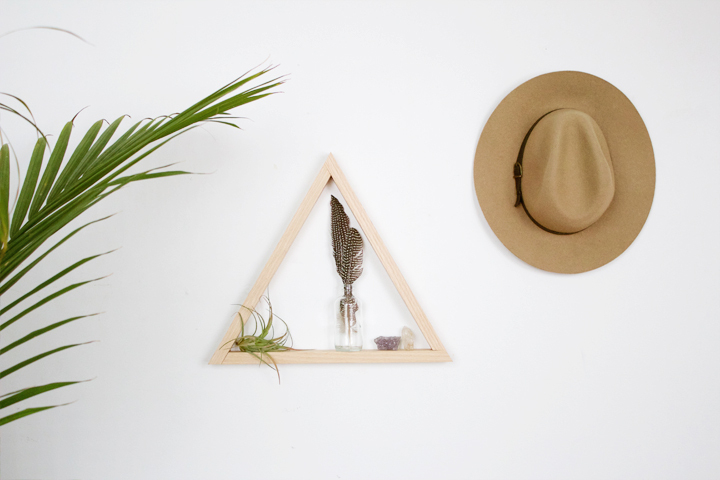 I've been styling mine differently all week, finding new knick knacks and greenery to display. 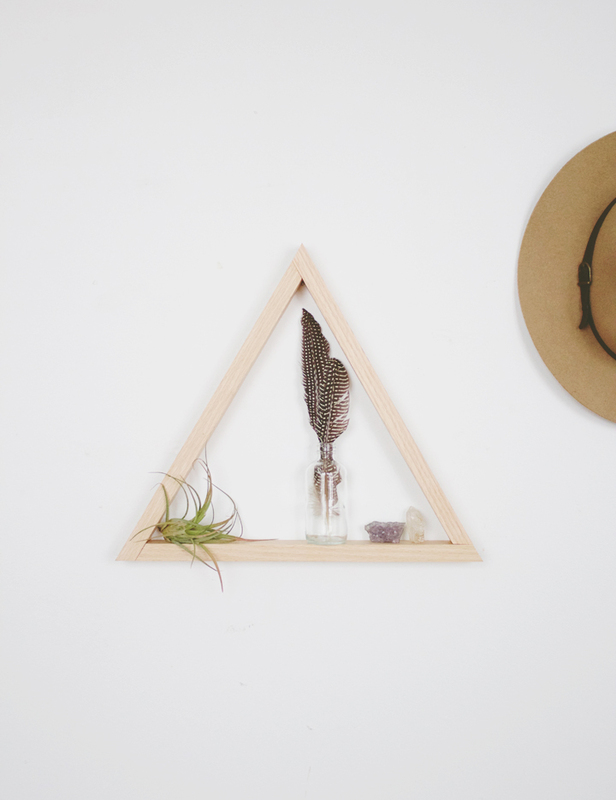 Share your Foxtail + Moss inspired DIYs with us by tagging photos with #foxtailmakes. It is always nice to come into a home - whether yours or a friend's - that is well-decorated, cozy and comfortable. Thanks for sharing this wonderful post. I love this! How did you hang it up on the wall? Thank you! Hi Sarah! We made sure to find a stud in the wall and then hung the shelf with a hefty nail. The top corner of the triangle hides the nail perfectly!